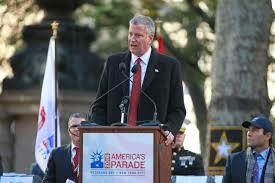 New York: Veterans Day – a time set aside to honor those who served in the U.S. armed forces – is Friday, Nov. 11. The day traces its origins back to the end of World War I. On Nov. 11, 1918, an armistice between the U.S.-led Allied nations and Germany went into effect on the 11th hour of the 11th day of the 11th month. Though the war wasn’t officially over until the Treaty of Versailles was signed seven months later, the Nov. 11 is recognized as the end of the “war to end all wars,” according to the Veterans Administration.